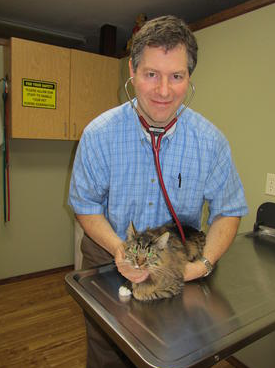 Dr. Ginman is Board Certified in Small Animal Internal Medicine. He has been in the Spokane-Coeur d' Alene area since 2010 and opened Inland Northwest Veterinary Specialty Care within the building operated by Emergency Pet Care in October of 2011. He enjoys the area, with all of its outdoor activities, and looks forward to serving the people and pets that live here for years to come. In addition to completing undergraduate training and four years of veterinary school, Board Certified Veterinary Specialists are similar to their human medical counterparts in that they have completed an internship and residency in their specialized field (an additional 3-5 years training). Specialists bring a greater understanding in the area of internal medicine, cardiology, oncology, or neurology, and have a greater knowledge of the unusual, the uncommon, or rare. In addition, a Specialist may have diagnostic equipment not generally used by a general practice veterinarian.